Annabelle Grace was born September 20, 2016 and like many children with Propionic Acidemia (PA) she went into metabolic crisis a couple of days after birth. After talking to our genetics team in December 2016 we started pursing the option of a liver transplant for Annabelle. Even though we managed Annabelle’s care so meticulously she would still end up in the hospital every couple of months for high ammonia levels above 100 (often for no reason and with no detected illness). 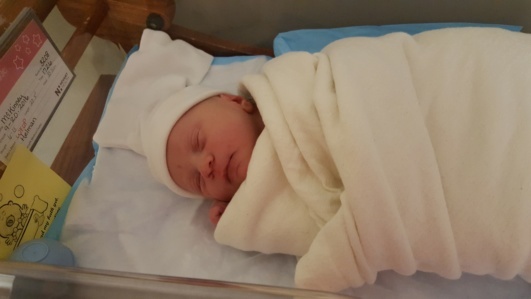 Annabelle had a g-tube placed when she was two weeks old, but even with pushing fluids and using sick day formulas we found it difficult to keep her metabolically stable (we checked her ketones EVERYDAY). We tried Carbaglu (which is supposed to help lower ammonia) along with high doses of Carnitine and Bicitra (Sodium Citrate), and those medications didn’t even seem to help control her metabolic instability. Her ammonia on a “good day” seemed to hover inthe 60’s or 70’s, and even the night before her transplant her ammonia was 71. We realized early on that Annabelle had a very severe mutation, and we were told by many medical professionals that she was one bad illness away from another metabolic crisis that could cause serious brain damage. After talking with other families we were told that the Children’s Hospital of Pittsburgh was the place to go for transplant. The only liver transplant option in our state (North Carolina) was Duke University, but they had never performed a liver transplant on a child with PA. In April 2017 we ventured up to Pittsburgh, PA for Annabelle’s liver transplant evaluation and immediately fell in love with everything this hospital had to offer. Annabelle was officially listed for transplant on May 2, 2017. We immediately started fundraising and used the assistance of COTA (Children’s Organ Transplant Association) which we cannot recommend enough. Within three months our team of volunteers raised over $50,000 for COTA in Honor of Annabelle to help with any transplant-related expenses. On August 9, 2017 we got “the call” that would forever change our lives, and we quickly rushed to Pittsburgh. 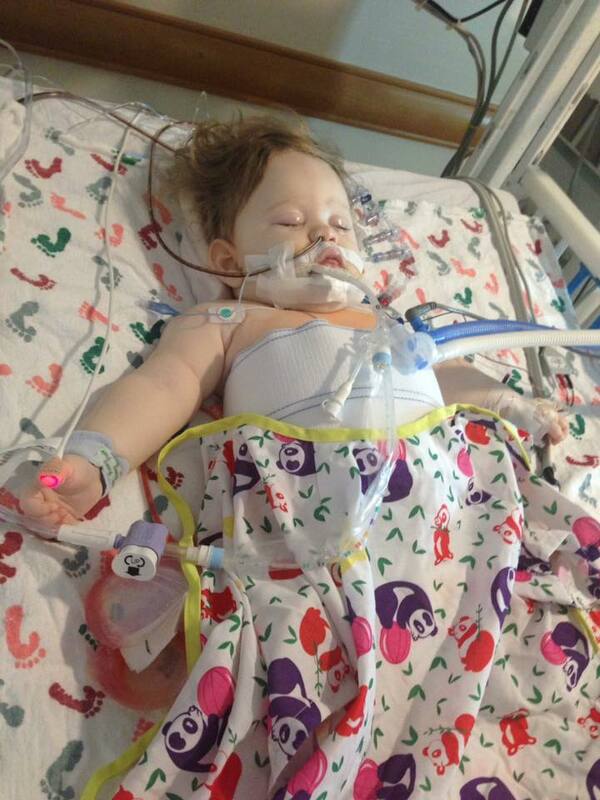 We were very fortunate that our first call was “the call” that gave Annabelle her new liver. She went back for surgery around 10:30pm that night and they finished her surgery around 9am that next morning. 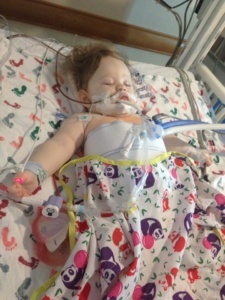 After surgery Annabelle spent about one week in the PICU. After that week the transplant team moved herto the transplant recovery unit where she stayed until she was discharged. Around two weeks post-transplant Annabelle did encounter a small episode of rejection. Even though “rejection” sounds scary it is very common early on in transplant, and mild cases like Annabelle’s are generally treated with some high-powered IV steroids for a few days. 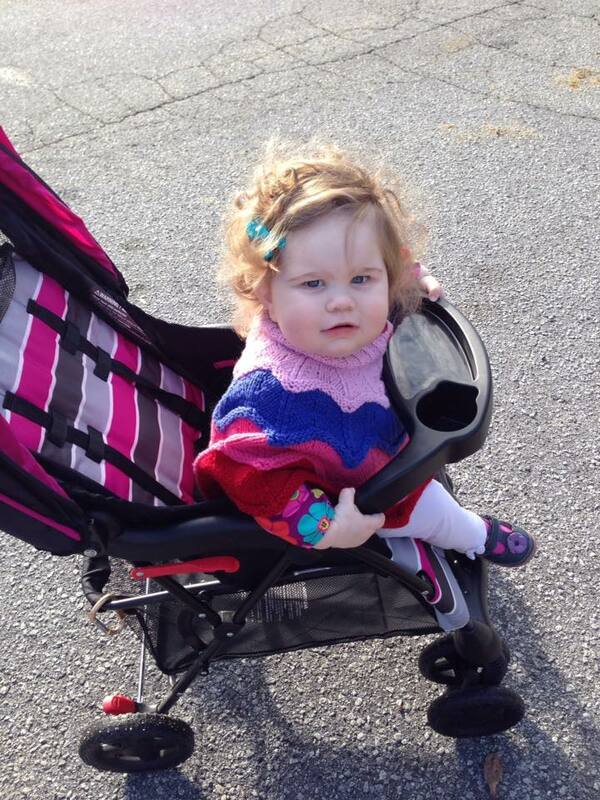 Annabelle was discharged on August 30th and only spent a total of 21 days in the hospital. 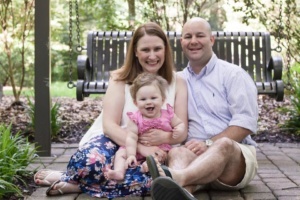 The transplant/genetics teams in Pittsburgh told us to prepare for complications (as is common with Organic Acidemia patients), but overall Annabelle had very few complications from her transplant surgery for which we are thankful. After getting discharged we were required to stay in the Pittsburgh area until the transplant team decided she was stable enough to return home to North Carolina. Luckily, the Ronald McDonald House there is amazing, and instead of hotel rooms they have small one-bedroom apartments making it possible to live there for an extended period of time. Plus, it is one of the few Ronald McDonald Houses where it is connected to the hospital, so even when Annabelle was inpatient we were able to easily access their services (homemade meals, laundry, therapy pets, etc.). We stayed in Pittsburgh until late November mainly going to the hospital for weekly labs, therapies, and clinic visits. The team had to keep changing her medications weekly so that her liver numbers and her EBV levels (Epstein-Barr Virus that she acquired from her donor) maintained a healthy balance. Our total stay in Pittsburgh was a little over three months, which we were prepared for since the transplant team told us prior to surgery to expect to stay there anywhere from three to six months depending on the amount of complications. Since we’ve been home it has been a bumpy road. The transplant team told us that the first winter post-transplant is always very difficult and they were right! Annabelle has been living in a bubble all winter, but she has still been in and out of the hospital the past few months due to illnesses from her immunosuppression. When we do have to go to the hospital its more for treating the illness caused from her immunosuppression rather than treating her underlying metabolic disorder. When you get a liver transplant it really is just trading out one disease (PA) for the other (transplant) in hopes that treating the transplant gets easier in time. Even though the liver transplant brings a whole new set of issues (more frequent bloodwork, more meds, life-long immunosuppression), we know that Annabelle is more metabolically stable on a day-to-day basis. Even when she does get sick we don’t worry as much about the significant possibility of brain damage because her ammonia levels stay within the normal range or are only slightly elevated. The highest her ammonia has gotten post-transplant has been 98 (from frequent vomiting), and her new normal on a “good day” now averages in the 30’s. It’s also been amazing to see the developmental progress she’s been making post-transplant. She’s so much more alert, and her overall energy level and muscle tone have increased greatly. Since Annabelle’s transplant we have been able to come off of Carbaglu and Bicitra, but she is still receiving Carnitine (which we were told she’ll be on for the rest of her life). Her feeding skills are still lacking, and getting her to eat by mouth is still a struggle. However, she’s getting feeding therapy and making progress so we are hopeful that she’ll eventually eat enough food by mouth to come off of her formula. Her protein intake can be less restricted now, but since she’s primarily tube fed her metabolic dietician has been conservative (1.3g/kg) and hasn’t tried to push her protein as long as her amino acids stay within the normal range. The main food advantage post-transplant is that we don’t have to weigh her solid foods now and we just go by the nutrition label. Also, if she throws up we don’t have to immediately pump more formula back in her; now we just let it go unless the vomiting becomes excessive. There’s a lot more wiggle room in her overall stability,and we aren’t “living on the edge” every single day like we were pre-transplant. We know the decision to transplant your child is a difficult one, and we’re very open to discussing our journey with any families that would like to speak with us. Please feel free to see more about our journey at www.CotaforAnnabelleGM.com where you’ll be able to find our blog posts, as well as, a link to Annabelle’s Facebook Page where you can see photos and videos from our transplant journey.